This chapter presents a survey aimed at identifying the level of usability and applicability of interoperable educational tools in Nigeria language teacher education. 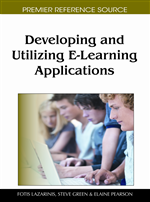 The background summarizes the benefits of e-technologies in learning process. It then explores the different types of interoperable tools and e-competencies required by pre-service teachers in a second language context. Utilising one Nigerian University as a case study, the survey sampled one hundred teacher trainees selected from 300 level English Education students’ of the Department of Arts and Social Science Education, University of Lagos, Nigeria. Two research questions were posited while two instruments- the Internet Application Competence Assignment (IACA) and the Internet Literacy Competency Questionnaire (ILCQ) were used in data sourcing. Analysis of data involved descriptive and inferential statistics. On the whole, findings show that 39% of the pre-service teachers operated within low level Internet skills, 49% were able to operate within higher competency level while the consolidated level skills posed the most difficult area of competency in usability of interoperable educational tools in language teacher education. The chapter ends with proposed solutions and recommendations for futuristic research directions within the context of global e-learning support. The development and emergence of e- learning standards and interoperability frameworks have become a global phenomenon of great importance while the imperatives of the new technologies are increasingly manifest in pedagogical and andragogical - related issues. This thrust aligns with school restructuring efforts in countries like United States, India, France, Malaysia, Brazil, Egypt, Ivory Coast, Kenya, United Kingdom, Finland, New Zealand, Australia, Uganda, South Africa, Mali and Nigeria etc. All these countries have recently launched e-learning educational initiatives. Technologies and research on interoperability of e- learning tools have gone beyond mere rhetoric to being the pivot for problem solving, thinking, communication skills and learning standards. Learners use e-learning application tools to explore, analyse, exchange and present information responsibly and creatively. The potential classroom application of e-applications has constituted vital consideration in planning and provision of numerous opportunities for the masses, bringing people closer to each other than ever before, through inexpensive and instantaneous mode of communication. No serious nation can embrace the shift to global information-based education without aligning learning strategies with e-learning. Numerous studies (Schwab, 1999; Owhotu, 2006; Ajelabi, 2006) have advocated that pre-service teachers should appreciate the potentials of technology as a cognitive instructional tool and endeavor to enter the teaching field ready to use technology to enhance language learning. In this context, the Nigerian National Policy on Education clearly acknowledges the need to establish its priorities in teacher education and e- technologies when it expressly affirms that the purpose of teacher education should be to “provide teacher trainees with the intellectual and professional background adequate for their assignment and make them adaptable to changing situations” (see 6 (d) p. 33). It further states that education shall continue to be highly rated in national development plans because education is the most important instrument of change. Underlying this policy is the core mission of inculcating in teachers the right values, the knowledge, attitudes, behaviours, skills and competence required by the individual for national survival, understanding the world around us and for the acquisition of mental, physical, social and technological skills needed to perform their tasks effectively. Any fundamental change in technological outlook of any society has to be preceded by an educational revolution (Maduekwe, 2006). Background. This outlines and incorporates views of others into the topic. Profile of e-learning in Nigeria Education Context. E-learning Competencies/Skill Required by Teacher Trainees. Discussion of the Main Points.